I recently had to replace the toilet in the girls’ bathroom. 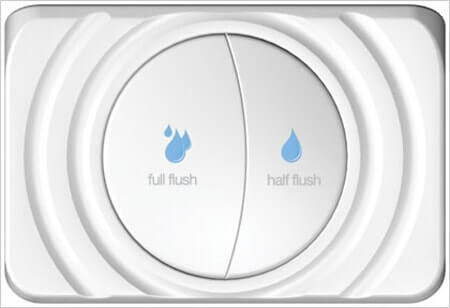 I wanted to save water, so I went with an eco-friendly dual-flush toilet from Costco. The great thing about it is that it has two flushers–one that releases a small amount of water, and one that releases the full tank…so depending, uh, what you’re flushing, you choose the flush accordingly. 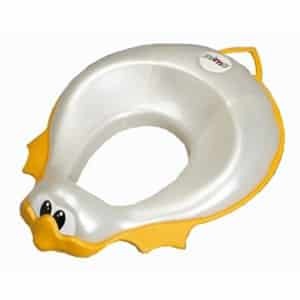 The problem it presented was that our round potty seats from Target don’t fit right–they are more for round toilets, and this toilet is more of an oval shape and sticks out more…so the old seats slide around.